The Shape of the Earth’s “Suspended Animation” launches with a pulsating keyboard and a rhythmic chant that references a “motherboard,” setting a space-age tone. Tension builds as animated female vocals, layered on top of horns and drums, proclaim, “Won’t you beam me up?” The rap comes in at just the right moment, breaking up the alien abduction saga with Deltron 3030–esque flow. The album remains up in the air, so to speak, with atmospheric electronic backgrounds and final frontier lyricism. In “La Vie Aquatique,” struggling against dramatic crashes of water emerges as a theme for rising above struggle. Modest Mouse is aptly referenced in the lyric, “Continue to float on / Like Isaac Brock.” The title of the album, The Shape of the Earth, seems to allude to the inevitable cyclical nature of life on this planet: What goes up must come down, and what goes around comes around. 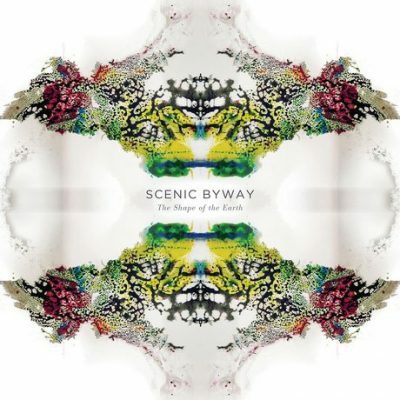 Scenic Byway explore both the depths of the ocean and the limitless experience of the sky in their music. In the video for “Art of Facts,” the band performs in an industrial apartment with red backdrops, creating a flagrant yet intimate setting. The track consists of a slightly funky guitar riff complemented by horns and a passionate rap that begins with, “I’m the artist / And you’re the artifact.” Despite abstract lyrics, the overall feeling refers back to the universal ideas of time and space that tie this album together.